Unspeakable. This wall features Snow White and The Evil Queen. You may use this wallpaper anyway you wish, but please do not claim it as your own. All images belong to their original owners and no infringement intended. This is just a fan creation. . HD Wallpaper and background images in the Once Upon A Time club tagged: once upon a time snow white regina. 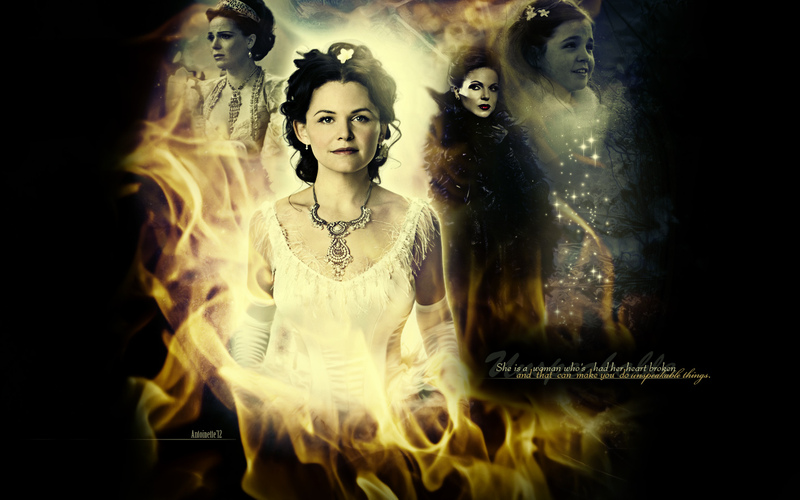 This Once Upon A Time wallpaper might contain fire, flames, inferno, and fire.